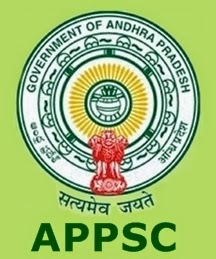 APPSC Group-2 Executive Posts Result 2017: It is hereby informed that the list of candidates provisionally selected for Executive posts fallen under Group-II services vide Notification No.18/2016 have been declared. The list is available in Commission’s website i.e., www.psc.ap.gov.in as well as in the Notice Board of the Commission’s Office. In continuation of the results notification dated 29-12-2017 for verification of original certificates on the basis of Witten test held on 15-07-2017 and 16-07-2017 for recruitment to the posts of GROUP-II SERVICES (GENERAL) Notification No.18/2016, the candidates whose register numbers are given below have been provisionally selected for appointment to the Executive Posts, notified under General recruitment vide Commission’s Notification No.18/2016 subject to the following conditions. 1) That success in the examination confers no right to appointment unless the appointing authority is satisfied after such enquiry as may be considered necessary that the candidate having regard to his character and antecedents is suitable in all respects for appointment to the service. 3) That the candidate should produce such other original certificates as may be required in accordance with the Rules. 4) The candidates selected under OH/VH/HH category shall have to fulfil the rules envisaged in G.O.Ms. No. 31. If it comes to the notice of the Commission later that the candidate furnished false information or the selection is not in order due to any act of omission or commission of any candidate then his provisional selection is liable to be cancelled at any stage and he/she will forfeit all consequential benefits including that of selection, Besides, the Commission reserves the right to take any action as it deems fit in the circumstances of the case, in terms of the various enabling provisions as notified in Notification No 18/2016. Note: i. The candidature of Regd.No.180313584 selected for P.C No.08 in Zone-I is subject to the outcome of Physical fitness report from the Medical Board. ii. The candidature of Regd.No.180411338 selected for post code No.04 in Zone – II under HH category is subject to the outcome of HH disability percentage report received from the Medical Board. iii. One OH vacancy in P.C.No.03 in Zone-IV is kept vacant as per the interim Orders of the Hon’ble APAT Dt:23-02-2018 in OA No.213/2018. iv. The candidates bearing Regd No.180703199 and 181403710 selected for PC.No.03 and PC.No.02 respectively have been interviewed for Group-I services vide Notf.No.15/2011 & 18/2011 and gave consent for Group-I Services as 1st preference. Therefore, if these Two candidates are selected in the final selections of Group-I services, the PSL of executive selection list may undergo slight changes on account of their exclusion from the executive selection list. v. This selection list is subject to the outcome of O.A. No.s 1197 of 2017, 1960 of 2017, 2251 of 2017, 2381 of 2017, 2583 of 2017, 3234 of 2017, 3507 of 2017, 12 of 2018 etc., vi. The Non-executive selection list will be published soon. Practice test paper for Computer Proficiency test for the Non-executive post code No.s 09,10,11,12,17,18,19,20,21,22,23,24,25,26,27,28,29,30,31&32 is available on the Commission’s website. The Computer Proficiency test will be held from 02-04-2018 and the schedule for the test will announced soon.